BIÑAN—A Filipino-Iranian midfielder headlines Stallion Laguna's preseason acquisitions ahead of the upcoming PFL wars tentatively starting this February. 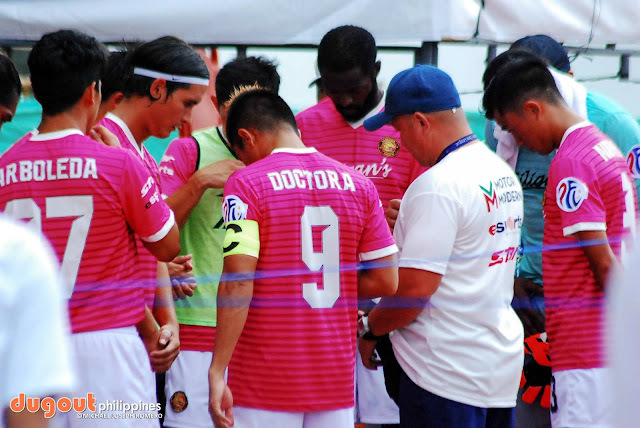 Club president and head coach Ernie Nierras told Dugout Philippines on Saturday after the first day of Laguna's open tryouts at the Biñan Football Stadium that the team signed Farbod Mahmudi. The 22-year-old Mahmudi previously played for Juventus Sao Paulo's youth team in 2014. However, don't expect him to quickly suit up for Laguna once the season begins. "Right now, he's still in Iran. He should be here sometime in April when he's ready from his team," said Nierras. However, there will still be new faces for Laguna at the season kickoff as he announced that former Ateneo player Anton Amistoso will join its first team after spending some time with the second team and that it also signed Japanese player Ken Kensei. "He's here already. He attended the first tryouts," Nierras said of Kensei. He also bared that the club is close to signing a centerback that will backstop Ko Kyung-Joon. Meanwhile, the core of the team that came close to stealing a spot in the Final Four following a late surge led by skipper Balut Doctora, super striker Jhan-Jhan Melliza, ace goalie Bitoy Rosalia, and foreign players Carlo Polli and Ko, who will rejoin the team following a brief spell in Vietnam, will stay for the new season.